How can we use idle spaces? 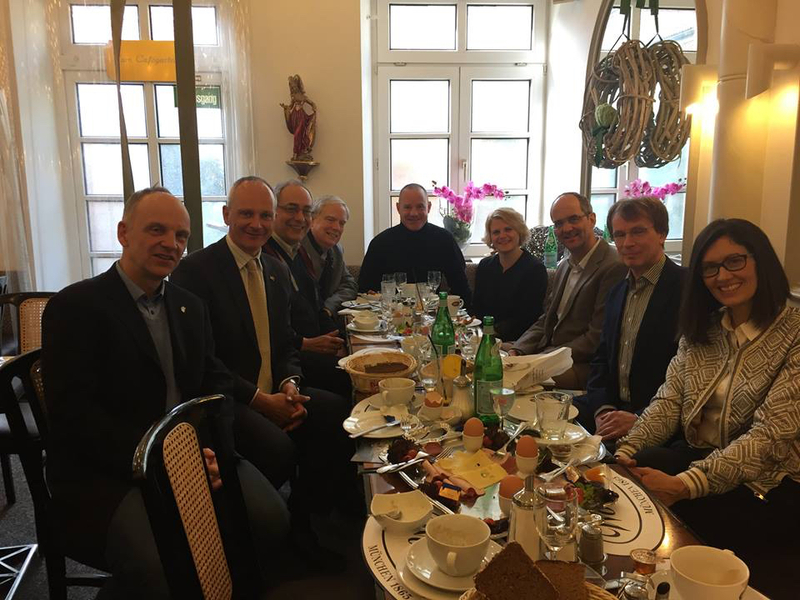 That was one of the questions proved by Prof. Michael Rosemann, honorary German Consul in Brisbane, and Head of the Information Systems School at the Queensland University of Technology in a recent meeting in Munich. Michael inaugurated what will hopefully become a regular series of informal „Boomerang Breakfasts“ in the city. He explained how we need to use or refuse facilities that are lying idle for other purposes – for example toilets to measure the health of their users? He is interested in how we can better exploit infrastructure for uses for which it was not designed. Michael is also interested in supporting young entrepreneurial companies. He looks at twinning up startup hubs in various cities, which lead to a discussion of Munich’s advantages over Berlin (the location of Australia’s start up landing pad). As one of the participants pointed out, Berlin might be good for IT, but Bavaria and Southern Germany has more traditional industry that are starting to reach out and look for opportunities. Michael also wants to reach out into the wider community in Brisbane and promote Germany. He’s working on German weeks in the city and supporting German language clubs for students and teachers. He is also extremely excited about a German-Australia Startup summit being organised in November in Brisbane. A great speaker and we hope that we can have him back soon.